This week, I am vacationing on the Jersey shore, in Avalon north of Cape May to be precise. I had never been to this small town or the barrier island referred to as Seven-Mile-Island before: a beautiful area, especially this time of the year, before the masses arrive (if you can speak of masses with a serious lack of hotels and most residential structures being single family homes). 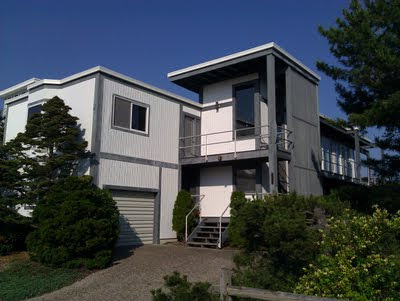 fenestration, covered porches, ocean-facing balconies. approx. three to five weeks from photo date. Misplaced Italianate on the ocean, clad in white marble. 18,000 sf Nantucket Style on steroids in the dunes. Potatoe-chips build that residence. is actually a residential version of a curtain wall, facing east. Ensemble of three individual residences on a triangular oceanfront lot near the inlet. different exterior materials and colours to emphasise their separate structures. Architect's remodel of a non-modernist home includes greening of garage roof plus new facade. 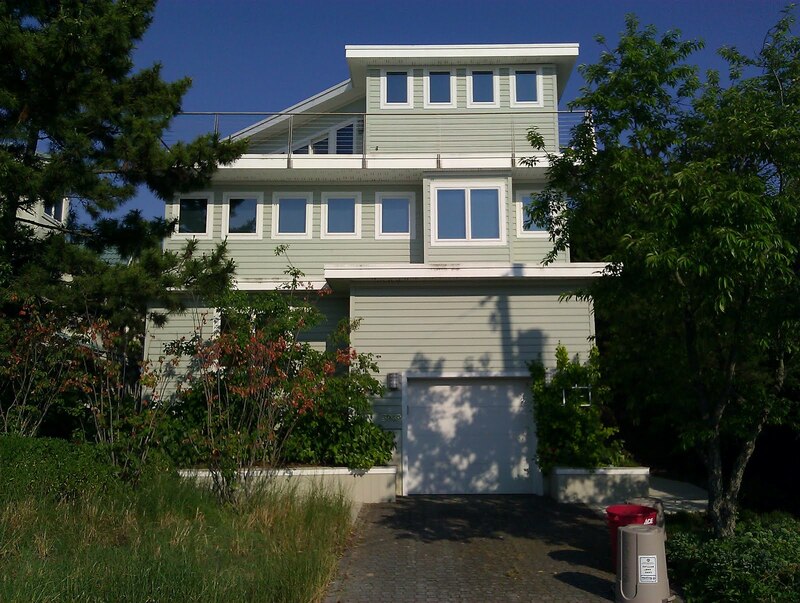 Oceanfront residence with roof terrace, facade in typical local color (stained wood? planking). second floor and roof terrace on third. Contemporary but clean interpretation of the upside-downer, with main living areas on second floor. west towards the Bay. Garage and closed front facing east and street. Looking elegant at first glance at dusk. lined up and overall neglect. Pity. bands of windows and pale horizontal planking. the dunes and the ocean (on the right). Thank you for reading this post. I hope you had fun – and looking forward to your comments! Tobias. You are one very impressive architectural home critic. Keep the blogs flowing! Don.